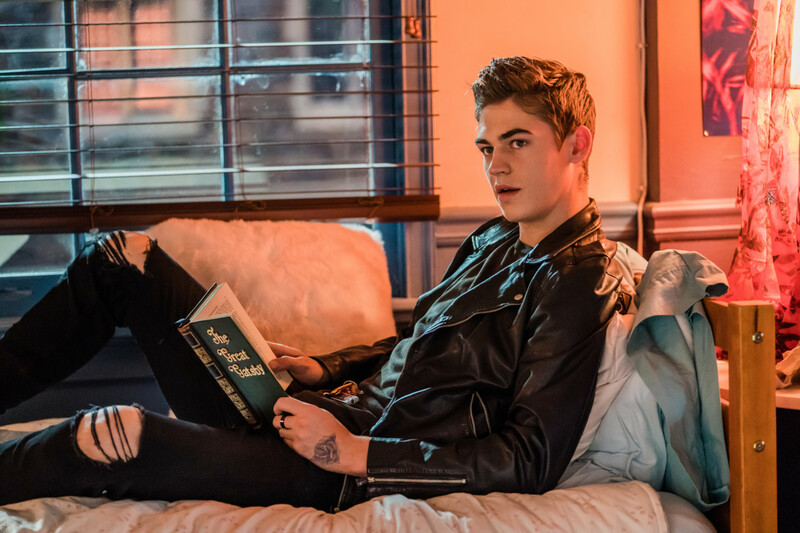 Though Hero Fiennes-Tiffin made his major film debut 10 years ago in the ‘Harry Potter’ franchise, he might as well be gracing screens for the first time as the leading man in college romance ‘After’, out in cinemas this weekend. The 21-year-old English actor, now walking his own path in Hollywood, looks unrecognisable to the young Voldemort he depicted in his preteen years. “Yeah, that old thing,” says Fiennes-Tiffin. 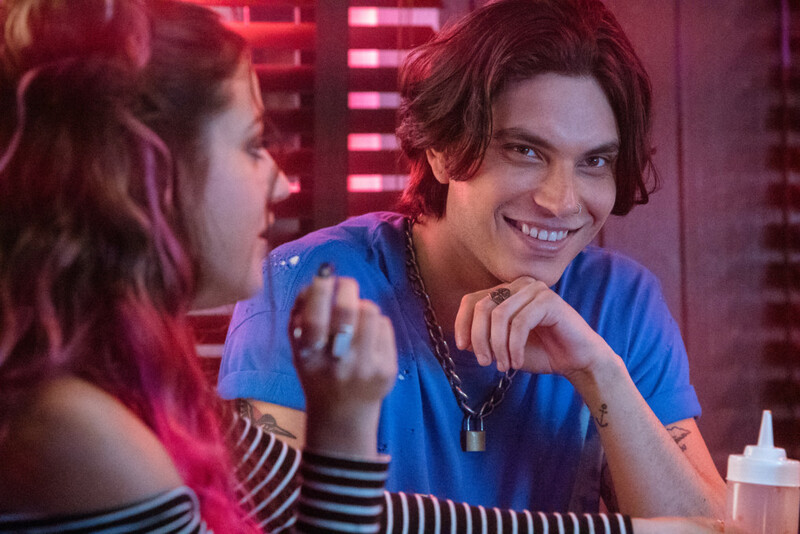 This weekend, the pair will make their lead character debuts as Hardin Scott, the tattooed college student who captures the interests of freshman Tessa Young. Some have categorised the film as a classic bad-boy-meets-good-girl story, though both Fiennes-Tiffin and Langford disagree. “As far as I know, there hasn’t been any, like, taglines [that say] good girl meets bad boy. I have an issue with those terms, just because I feel like they’re a bit of an oversimplification,” says Langford. “And I don’t know, what makes a girl good? Because Tessa is not faithful to her boyfriend — that’s not classically good girl behaviour,” she says. ‘After’ has already attracted comparisons to several other films that are seen as genre-adjacent. But if the two leads were to describe ‘After’ to someone, they wouldn’t liken it to any other production. “I understand the comparisons that have been made; the films that it’s usually compared to, I actually haven’t seen… Obviously, all films are going to have some similarities to other films, and I respect that. But I feel like this film, especially, we haven’t tried to copy any other films. It’s very much its own storyline,” says Fiennes-Tiffin. ‘After’ is based on the 2014 ‘New York Times’ best-selling new-adult romance by Anna Todd, originally inspired by pop group One Direction and published on the online platform Wattpad, before it was picked up by publishers Simon & Schuster as a five-book series. The books already have a fan base, who nickname the central couple #Hessa — a combination of Hardin and Tessa. What vision did the actors have when bringing these two to life? The book series is considered new-adult fiction, distinct from young adult — or YA — in that it follows older protagonists, between the ages of 18 and 30. The developing genre is typically directed at an older audience, as well, and contains more room for mature content. The film adaptation of ‘After’ holds a PG-13 rating in America, while in local cinemas, it’s listed as a 15+ film. Who will get the most out of it? Following the first ‘After’ book, there were four more — ‘After We Collided’, ‘After We Fell’, ‘After Ever Happy’ and ‘Before’, a prequel exploring Hardin’s life before he met Tessa. Could this spawn a book-turned-movie franchise, in a similar vein to ‘Twilight’ or ‘50 Shades of Grey’? “I’m all onboard for a sequel, I would love to do it… There’s a lot more of the story that we have to tell,” says Langford. Fiennes-Tiffin agrees. But he’s also open to exploring other projects over the coming years. “As much as we’d love to be onboard with the sequels, if we’re lucky enough to do them, it doesn’t mean we’re not going to be able to do any other work. Everyone on the ‘After’ team is very supportive of us doing other projects if we want to, and there will always be time for that, but we’d love to come back and do another ‘After’ if we can,” he says. Filming was a collaborative effort, with small changes coming in from across the board. Fiennes-Tiffin recalls one scene that wasn’t originally included, which he suggested adding, while Langford refers to a light moment from the trailer that was all her doing. “It’s when we’re in a coffee shop and [Tessa] says: ‘I think you should keep your distance,’ and I suggested [that Hardin take a] step back, I thought it would be funny,” says Langford. Despite these minor suggestions, the onscreen pull between their two characters was largely organic. Both actors are 21 years old now. Did they grow up on any love stories themselves? Has there been an onscreen romance that left an impact on them? “I really, really loved Elizabeth and Will from ‘Pirates of the Caribbean’. I think a lot of people did,” says Langford. For now, the burgeoning talents are turning into social media stars. Langford has more than half a million followers on Instagram, while Fiennes-Tiffin hit the 1 million mark this month. Does he feel like a changed man? He laughs. “I don’t, actually. I don’t think followers actually affect anything other than that tiny little number at the top of your screen when you’re on your Instagram profile. Obviously, I feel honoured to be in a position where there’s a lot of people [who] admire my work and want to see what I’m up to, but in short, nothing changes,” he says. Things could begin to change after the release of their first major film as leads. What emotions are the cast feeling? “A little bit of everything… I like to take things one day at a time [and] not get ahead of myself, or get my hopes up or set my expectations too low, so I think we’ll just see what happens,” says Fiennes-Tiffin. “You may laugh, you may cry,” says Langford. “It’s an entertaining film and you’ll enjoy the time spent watching it,” says Fiennes-Tiffin. Both Langford and Fiennes-Tiffin have famous connections in Hollywood. Langford is the younger sister of ‘13 Reasons Why’ star Katherine Langford, while Fiennes-Tiffin is the nephew of actors Joseph and Ralph Fiennes. The latter played the adult Voldemort to Fiennes-Tiffin’s younger depiction in ‘Harry Potter’. “He did give me a couple of pointers on just the mannerisms of the character and stuff — but he kind of left me to do my own thing there. They’re always there for tips and tricks, but I don’t see them often enough to have a consistent dialogue like that,” says Fiennes-Tiffin. ‘After’ is out in the UAE on April 11.